On September 6, a team of Carnegie Mellon University researchers led by Venkat Viswanathan, energy fellow at the Wilton E. Scott Institute for Energy Innovation and Mobility21 UTC researcher at Carnegie Mellon, in collaboration with Ather Energy, was a finalist in the MOVE: Global Mobility Summit’s Hackathon. The hackathon provides a platform for participants to generate innovative ideas and solutions on issues concerning topics such as commuter mobility, freight, charging infrastructure design and alternative energy. The CMU team, which was one of 30 teams from around the world, presented its solution for efficient charging infrastructure design in New Delhi, India. The team’s approach, Infrastructure Networks for Charging EVs through Physics-based Transient Systems (INCEPTS), addressed key challenges limiting the wide-spread penetration of electrifying urban modality. 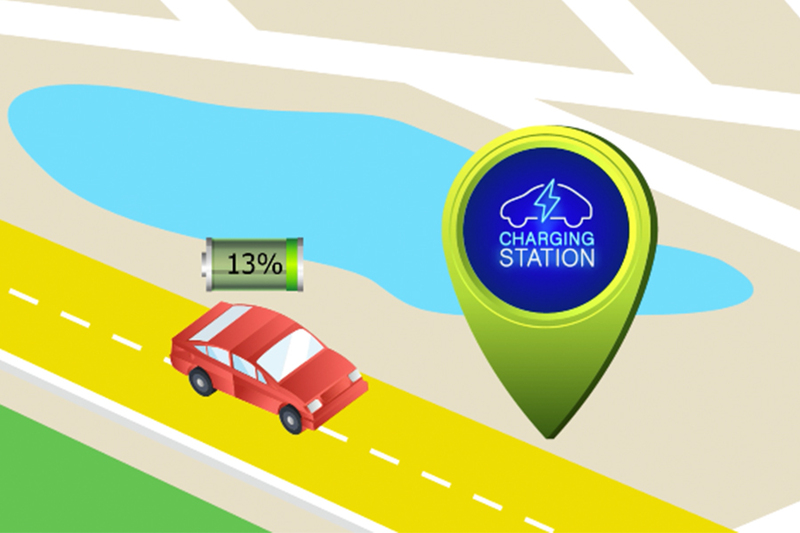 The team developed a model to map out charging points and battery swapping stations for electric vehicles (EVs) depending on factors such as traffic, most used routes, time taken, route-wise peak times and range anxiety, vehicle charging patterns, malls, parking areas and conventional fuel stations. “Many challenges emerged in order to make this model realistic such as effects of weather, user behavior and penetration rates of two vs. three vs. four-wheeler vehicles. Leveraging our supercomputing cluster, we were able to explroe all of these cases in a timely manner by running a massive number of scenarios in parallel on the cluster,” said Viswanathan, assistant professor of Mechanical Engineering at CMU. This approach is in contrast to current, simpler solutions for the problem. “Several charging infrastructure design algorithms implement ‘based on distance limits’ to the closest charging station, but what becomes extremely important in dense cities is to spatially vary the scale of charging infrastructure set up to adequately cater to several areas where the charging power demand is extremely high relative to the average,” said Dilip Krishnamurthy, a Ph.D. candidate in Mechanical Engineering and member of the INCEPTS team. By combining the same smart routing as most robotic navigation systems with the team’s vehicle dynamics model and traffic flow data, the researchers were able to accurately simulate the depletion of a vehicle’s battery during operation and determine which of the possible charger locations it should visit. “We were able to combine this with our previously validated battery models to ensure that battery’s state-of-change and state-of-health can be tracked accurately as a function of different operating conditions, like weather, traffic flow or driving behavior,” said Shashank Sripad, another team member and Mechanical Engineering Ph.D. student. Mechanical Engineering PhD Candidate Matt Guttenberg is also a part of the INCEPTS project. The result of the team’s hard work was a high-resolution map of where the optimal charging locations are, how much demand they are expected to see and how that demand changes with seasons. The team collaborated with Ather Energy, an electric vehicle company based in India, to adapt the solution to the Indian context.